A while ago, we told you all about how you can avoid drinking instant coffee when camping. Many of you appreciated the fact that you didn't have to drink that nasty brew when you could get a decent coffee outdoors. The story came about because we ourselves, just didn't like the fact that we couldn't get a decent coffee away from our machine (coffee snobs? Maybe). We invested in the Aeropress which has been a good choice for us, but after reading what else was out there on the market, it certainly makes me want to try some different coffee making devices. 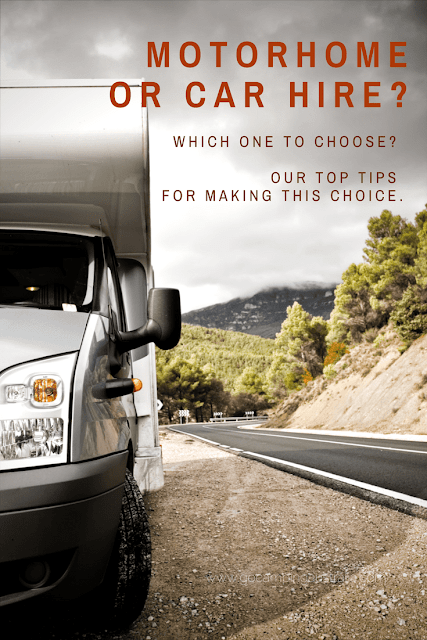 Now, if you missed that first story, don't worry - you can read our 10 camping coffee makers story and find out what is out there on the market (because it's an impressive list). But if none of those coffee makers gave you the caffeine buzz you are looking for, then it seems you are not alone. Since our first story, we have found some new coffee makers for the outdoors person. Yes, this is a sequel to our first camping coffee story. If we haven't yet listed your coffee maker of choice in this story or the last, then please share with us in the comments section. This is apparently the world's fastest hand powered portable coffee maker and travel cup. Not only does it brew your coffee in about 90 seconds, but you can easily add sugar and milk after brewing and it becomes your cup to drink from as well. From the video, it looks simple to use and does remind me a little of the Aeropress. I like the fact that its an easy clean up too! Who would this suit? If you like to keep your coffee simple and with minimum fuss, this will suit you. A video below gives you all the information on how it works! 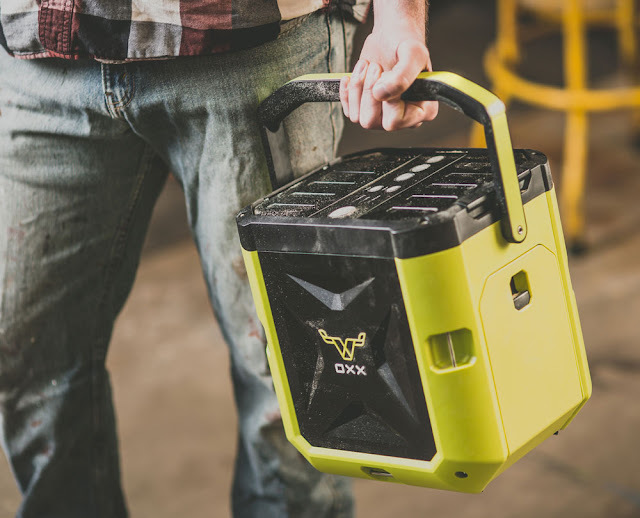 If the previous coffeemaker, Oomph, is regarded as the world's fastest, the CoffeeBoxx is regarded as the world's toughest coffeemaker for you rugged types out there. Apparently, you need a tough coffee maker these days. Who knew? Now, if you are camping with this one, you will need power - so it's not your typical outdoorsy coffeemaker, and probably designed for those of you who love to be all powered up, all the time, when camping. And you like crush proof coffee makers. Plus you need to have some muscles to lift it at 5kg (empty). Who would this suit? 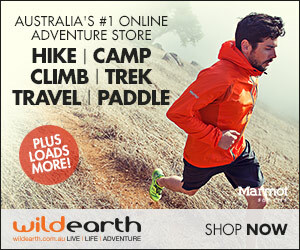 Rugged campers who are likely to drive over their coffee machine in their 4WD by accident. Looking a bit like the Oomph, this is a coffee brewer and a mug too. What is different about this is the MoJoe, doesn't have hot water added to it - it takes any water and heats it via mains, 12v or rechargeable battery. Your coffee and water are stored separately until it's time to brew. Which means you could make it up before sleeping in your tent, and then wake up, and have coffee in your sleeping bag! Now how it works, is all very clever and a bit technical for me, but it's very innovative.....This entertaining video below shows you how it all works - watch below. Who would this suit? Great for campers who love a coffee in bed, or if you don't have access to boiling water, this will heat the water for you. 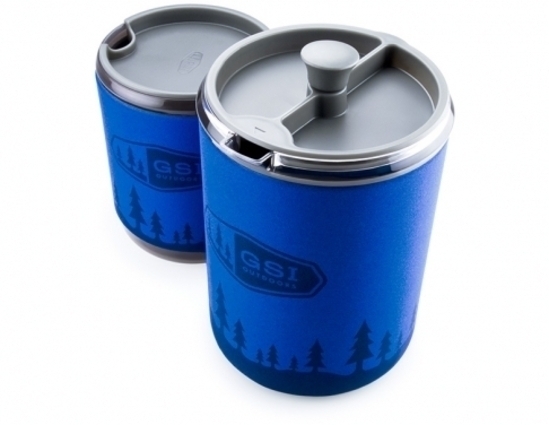 Great option if you are moving about and want to have a coffee ready to brew on the go. Going a little more back to basics with this one - nothing wrong with that - is the GSI Personal Javapress. 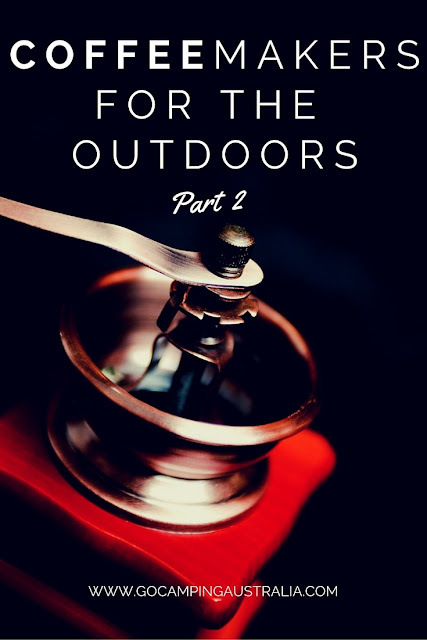 We have in our first camping coffee story, discussed the GSI Mini Espresso maker, and GSI has a great range of coffee making devices. 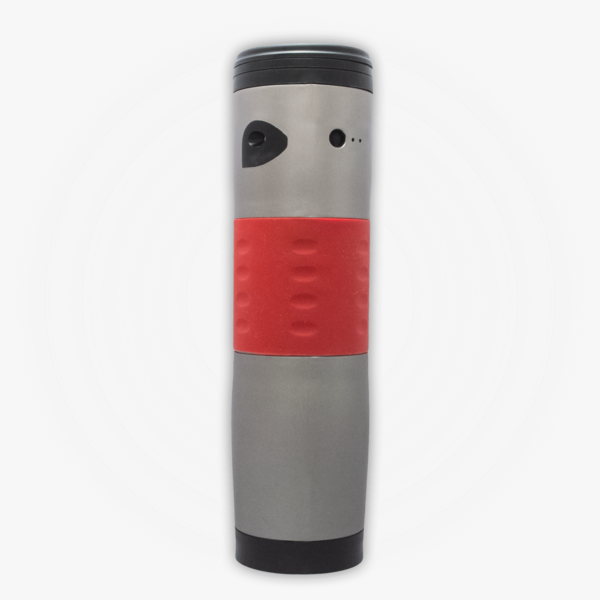 This is the French Press style coffee, and this Javapress is a silicone ringed plunger design with high R-value foam insulated, a cozy and collapsible handle for easy use and compact travel. Who would this suit? If you like to keep your coffee simple and with minimum fuss, this will suit you. It is the typical French Press but designed for the outdoors person who is looking for simplicity and familiarity with their coffee makers. 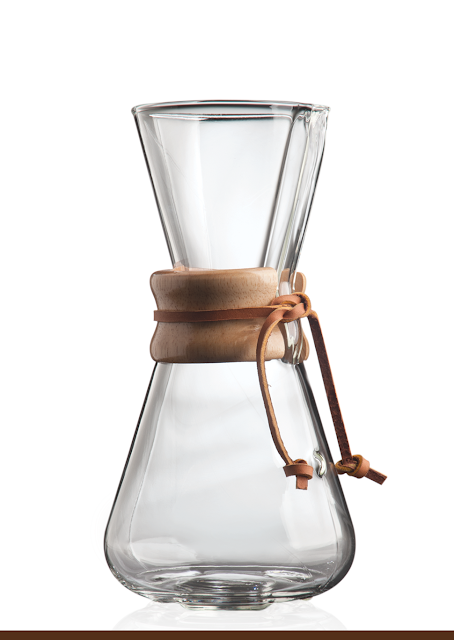 One of our readers mentioned the Chemex as their method of coffee outdoors (thanks, Erin), and because of its simplicity and purity, it is definitely something to consider. 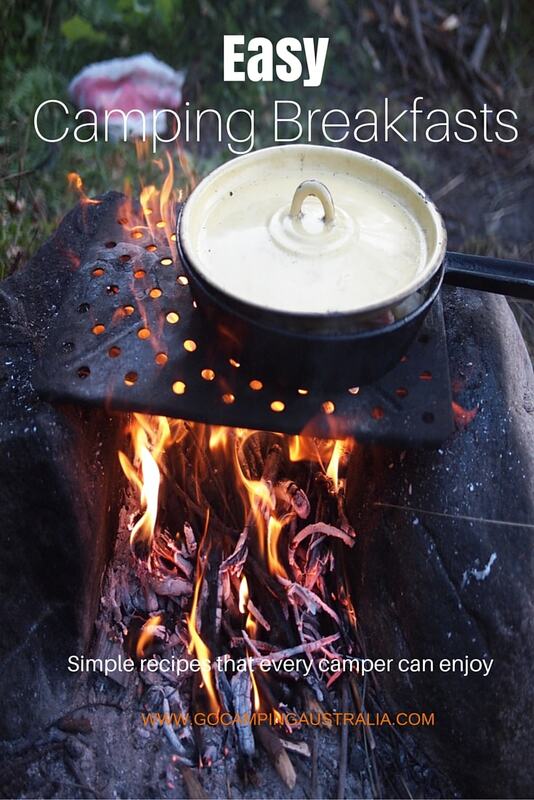 I have seen these, but never thought of them as something I would take camping - but people do! Might be too delicate for some campers but it certainly might be one of the most elegant ways of getting a coffee too. With a range of sizes and models, this is a refined way of getting your coffee. Who would this suit? Outdoors people who can look after this glassware carefully. If you are about purity and non-porous properties, this is something you could consider. This is for the serious coffee drinkers (and outdoors people). The claim from the manufacturer is "The World's First (and currently only) Portable All-in-One Coffee Brewing System!" Notice a pattern in all these coffee makers? All are claiming to be world's first/toughest/fastest. Does my head in with all these world claims. 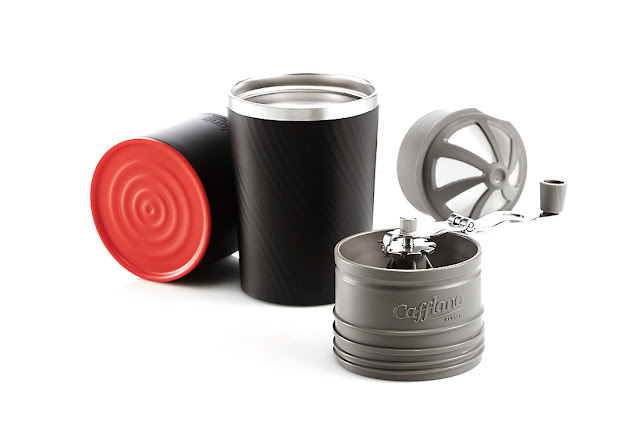 The Cafflano holds in one sleek cylinder, everything you need for a coffee, including an adjustable ceramic grinder, stainless steel micro filter and tumbler to drink from (elements pictured above). It takes a bit more work tha the others, especially with the grinding option. Who would this suit? The camper who loves to be involved in the coffee brewing process from start to finish. Availability: Various coffee stores in Australia. See supplier list here. For more coffee makers that might be a little on the ordinary side, see our affiliate site - Cotswold Outdoor range.